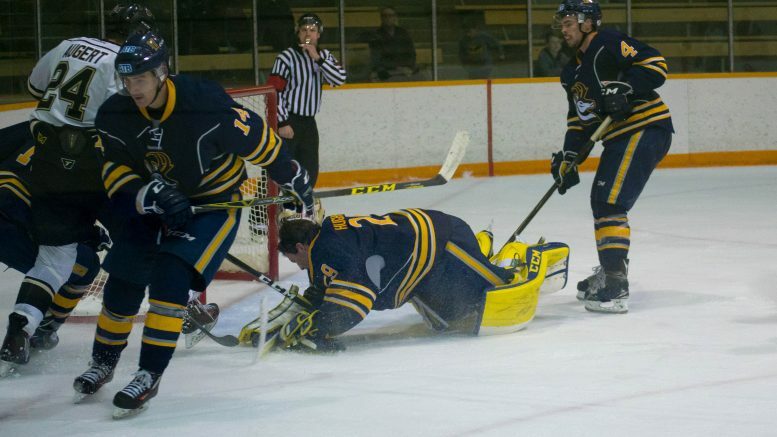 On Saturday afternoon at the Wayne Fleming arena, the Bisons and Pronghorns did battle again, this time with the herd coming out on top with a 6-4 victory to split the weekend series. A wild first period saw a combined five goals being scored. At the 8:20 mark of the first, Nick Zajac scored his first goal as a Bison and gave them their first lead of the weekend. He collected the puck at the Lethbridge blue line and showed some great patience and fired a low, hard shot on Hughson. At the halfway mark of the second, Hughson was chased from his net after he gave up another rebound goal to Brett Dudar to give the Bisons a 5-2 lead. Late in the second, Lethbridge forward capitalized with a tired Bison group on the ice and cut the lead to two. Lethbridge drew within one six minutes into the third after Justin Valentino came in on the left side and made a fool of Lee Christensen with a slick toe drag and finished low glove. Shawn Bowles iced the win for the Bisons with an empty net goal with 45 seconds remaining. The Bisons head out to Edmonton to play the Alberta Golden Bears in a two game series on Nov.18-19.